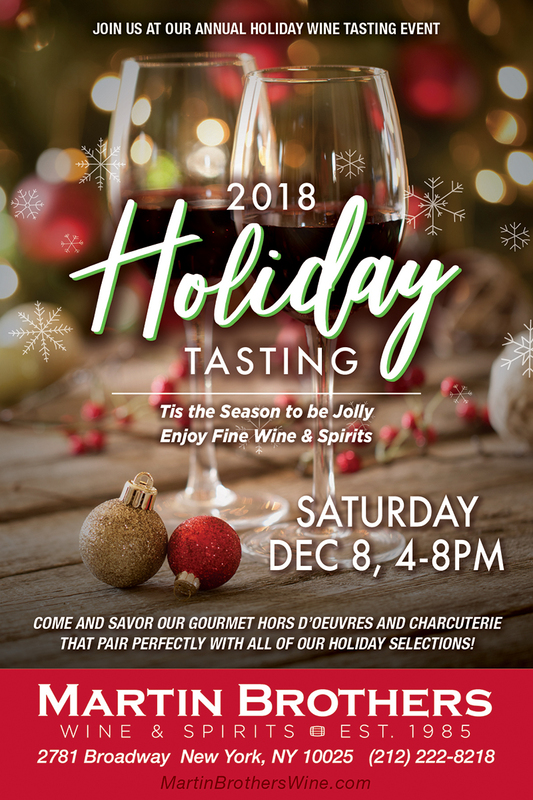 Our annual Holiday tasting event is coming up this Saturday, Dec. 8th from 4:00 PM – 8:00PM. A wine tasting is the perfect way to spend a cold winter evening, so bring your friends, family, and loved ones to this special gathering. Taste flavorful wines and mouth-watering hors d'oeuvres that will satisfy even the pickiest taste buds. For updates, make sure to follow our Facebook page or give us a call at (212) 222-8218.